Plot Compiled by: Howard J. Diamond, PhD; Climate Science Program Manager at NOAA's Air Resources Laboratory Data Source: National Snow & Ice Data Center (NSIDC; https://nsidc.org/. Click image for the higher resolution version. 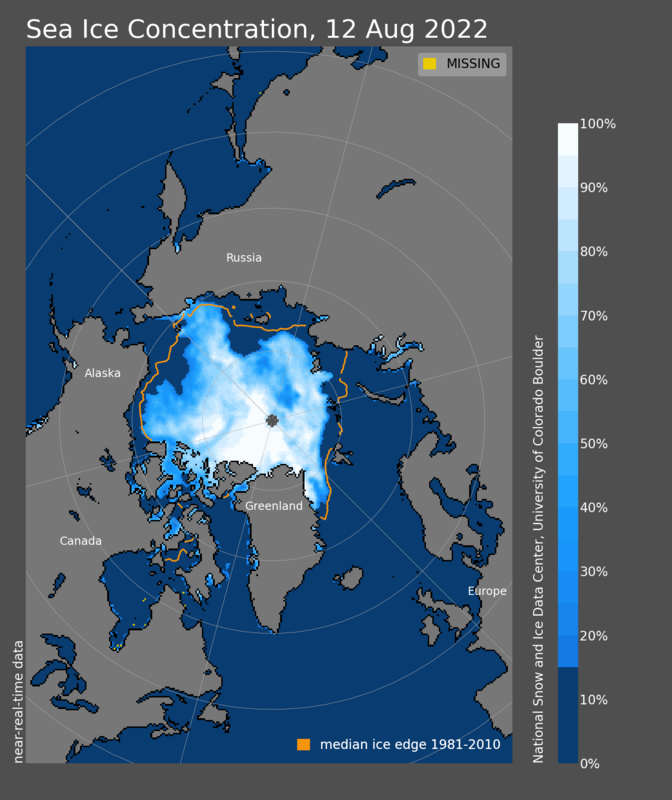 Daily sea ice concentration provided by NSIDC.